Are the foods your eating, Acid or Alkaline? It is often said that "acidic" fruits like lemons, limes and grapefruits will acidify the blood and tissues. In fact, the citric, lactic, and other acids in such low sugar fruits - unlike high sugar fruits - exist primarily in their anionic (basic or electron) form, especially as their Na+ and K+ salts (e.g., potassium citrate). Following absorption, these anions (bases or electrons) are metabolized to sodium bicarbonate. 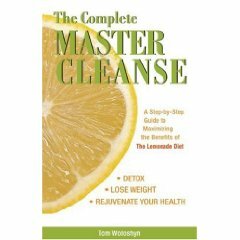 Thus, lemons, limes and grapefruits alkalinize - not acidify - blood and tissues. Alkalization occurs - even though the pH is typically low - because free Cations (protons or acids) are more than directly offset by the generated sodium bicarbonate from the low sugar fruit. For example, a liter of lime juice with a pH of 4, has 10 to the minus 4 moles of free Cations (protons or acids). The quantity of organic anions (bases or electrons) in the lime juice far exceeds this number of free Cations (protons or acids) and therefore, a net Alkalization will occur. This net Alkalization does not occur with high sugar fruit drinks like grape juice or grape juice concentrate, pear juice or pear juice concentrate, apple juice or apple juice concentrate - all found as ingredients in the Himalayan Goji Juice. The Himalayan Goji Juice has a pH of 3.65, an ORP of +181 mV, a rH2 of 25.81. Furthermore, with the additional 132 grams of sugar per liter, the Cations (protons or acids) from sugar metabolism will drive the pH as low as 1.50, the ORP in excess of +500 mV, and the rH2 over 30, making this beverage highly acidic and toxic to the body. Summary: The quantity of organic Cations (protons or acids) from high sugar fruits and fruit drinks like Himalayan Goji Juice significantly exceeds the number of free anions (bases or electrons). Therefore, a net acidification occurs in the blood and tissues. When testing the saliva or urine after drinking a high sugar fruit drink like the Himalayan Goji Juice, your result will be a false positive. The acidic fruit juice beverage with its high sugar content (Goji juice has 4 grams of sugar per ounce) will cause the pH of the saliva or urine to immediately increase by 1 or 2 points, or 10 to 100 times on the pH scale. This causes a release of sodium bicarbonate from the salivary glands to neutralize the cations (protons or acids) from the highly acidic fruit or fruit juice. This release of sodium bicarbonate from the salivary glands causes a reduction in the overall alkaline reserves of the body, and further acidifies the blood and tissues. A prime example of this is found when the bones of our body are used to buffer the acids from eating or drinking acidic fruits. About two thirds of bone mass consists of inorganic minerals, especially hydroxyapatite, but also brushite and the sodium, potassium and calcium salts of carbonate. When you mentally dissect these formulas it becomes clear that bone contains a huge potential source of Cations (proton or acid) acceptors. Thus, bone dissolution can help mitigate a fall in pH from eating or drinking high sugar fruits and fruit drinks. 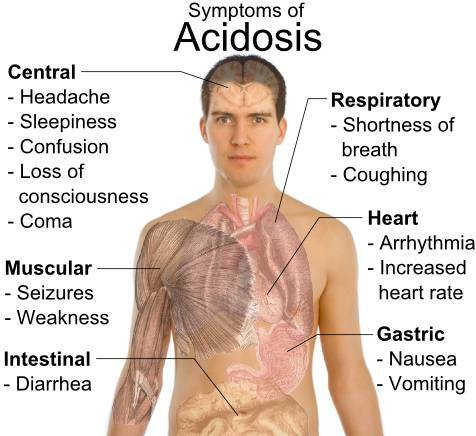 During states of metabolic acidosis buffering takes place through a combination of (1) direct chemical exchange with bone Cations (protons or acids), just as during acute buffering of metabolic acids, and (2) increased activity of osteoclast cells, which help mobilize additional bone mineral. Both acute and chronic bone buffering lead to the urinary excretion of bone calcium, which will reduce bone mass (osteopenia), cause calcium stone formation in the kidneys, and cause a sudden rise in the pH of the urine. All of this high sugar fruit eating and drinking may not only cause bone loss and calcium stone formation, but also eventually lead to renal damage and then renal failure. Do not eat or drink high sugar fruits or fruit drinks. Even the popular exotic fruit juice drinks will acidify the blood and tissues and deplete the alkaline reserves of the body which may result in bone loss, calcium stones in the brain, breast, liver and kidneys, and/or renal failure. In order to achieve outstanding health, energy and vitality you must maintain the alkaline design of your body with an alkaline lifestyle and diet.